We’ve traveled to Paris for over five years. 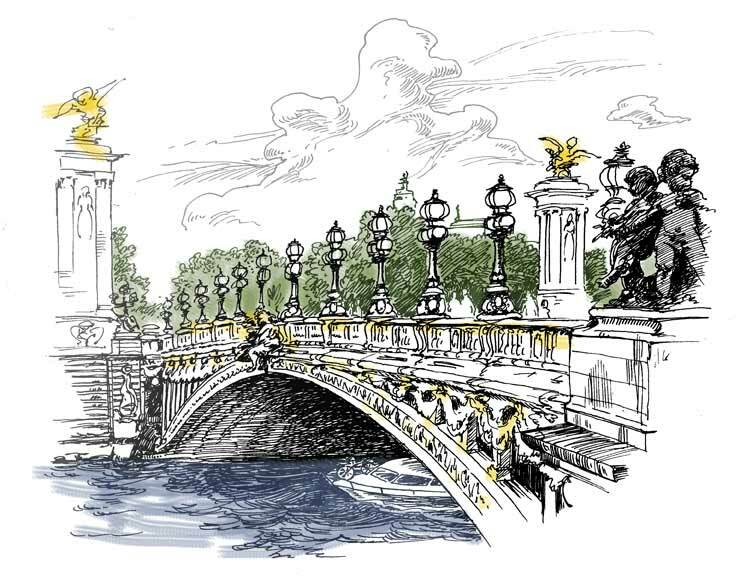 People ask: “Why do you go to Paris?“ (Why not London?) We like the culture, the history and the challenge of spending time in a place where we don’t speak the language. (though our French is improving) You will occasionally see charming decorations during the holiday season, but you won’t be overwhelmed the commercial spectacle. We go to experience all the things that make Paris different. If we buy a chocolate, it may be a chocolate flavored with something different than we would taste at home. If we buy a cheese, we hope it will taste different from anything at home. Traveling can be arduous and exhausting at times, but if you are of our mindset – it can be that rewarding adventure that we look forward to each year. The itinerary is vigorous, so pack light and efficiently with only a carry-on bag. We stay in four different hotels during the week, and travel among various arrondissements. Buy a Paris Museum Pass to join our excursions. There are several benefits associated with joining this group, but in-the-end you will have People in Paris – to share daily experiences, visit a bar, take in a movie or tour the Opera House. You always have the option of spending a day on your own, but also suggest a departure from the group itinerary.